This is just one of a series of photos I have taken, and will share with you over time, capturing the essence of living east of Málaga. Each one, in it’s own unique way, reminds me of why I love living in southern Spain, and in particular the Axarquía. 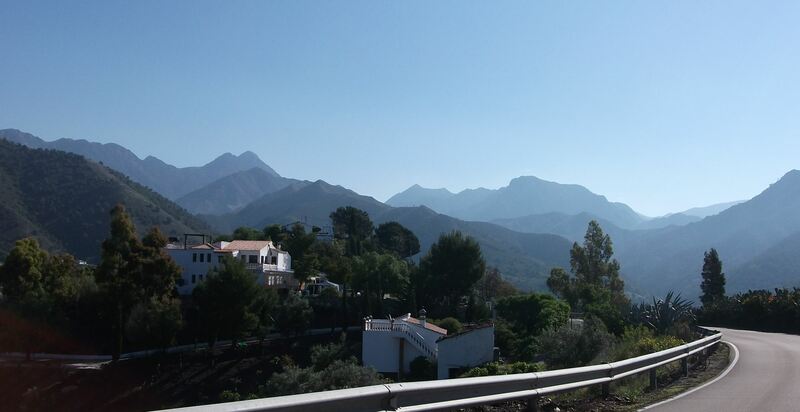 This photograph was taken on the road between the villages of Torrox and Cómpeta. The building you can see is the Pavo Real restaurant. I love the way the mountains appear in “layers of distance”. Hey welcome to WordPress, I am sure you will be very happy here.